Sol Cinema: World's smallest solar cinema! Sol Cinema: World’s smallest solar cinema! Now here is one of my solar favorites. 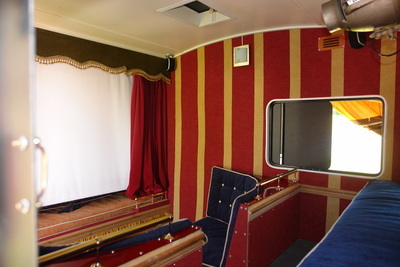 Sol Cinema: an 1972 caravan recycled into a fully working solar-powered cinema! Complete with usherettes. Originally, this small cinema is a arts charity Undercurrents project. Of course, you or your company can hire the entire cinema including staff and a wide selection of (short) films. And no worries, they have fully charged batteries in case it’s raining. Visit The Sol Cinema’s website or take a look at The Sol Cinema’s facebook page.